Charles’ favorite cookies are oatmeal; with or without raisins, it matters not just so long as they are oatmeal. We usually keep the cookie baking to a minimum and wait for my sister Chris to bring the cookies over but I guess the “cookie fairy” has been busy lately or forgotten us! Anyway, I now have a new recipe for her to try. I flipped through a few cookbooks yesterday and came up with my own combination using what I had on hand. These were chewy and moist and perfectly balanced. 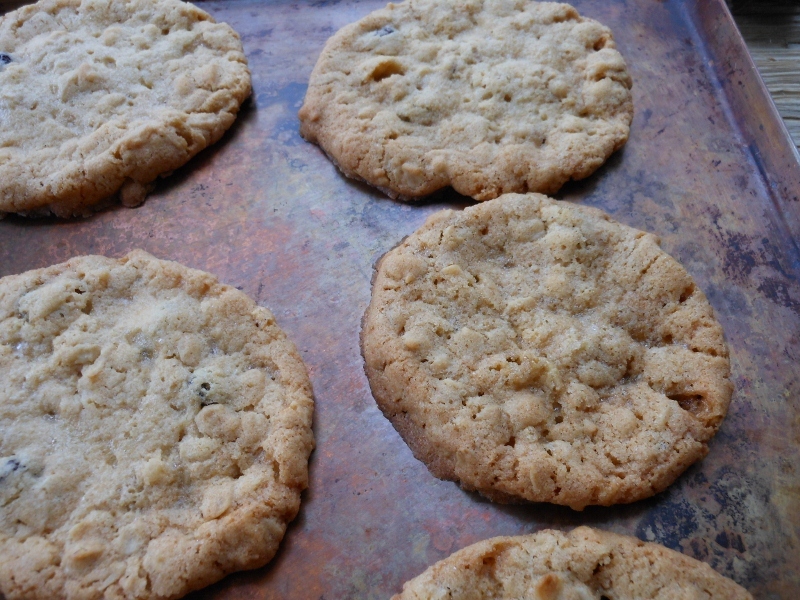 I have to say the molasses were the perfect addition, just a hint of flavor to bring out the best in these cookies. Cream together shortening and sugar, add egg beating well. Mix in molasses and vanilla. In separate bowl mix together oats, flour, baking powder, baking soda, and salt. Gradually add to creamed mixture. 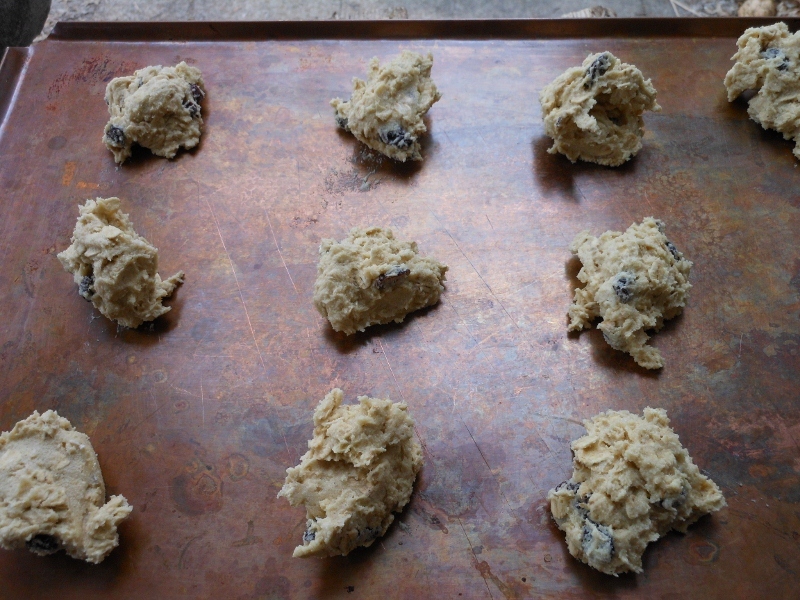 Stir in raisins and drop by the spoonful onto baking sheets. Makes about 2 dozen cookies. Bake at 350 degrees for 10-12 minutes.